I know the crime show fans are out there, and if that’s you then you need to see these shows like Rosewood! I love watching fast-paced police and even spies getting things done and taking names. They manage to do it all while still getting their suspect! Check out this list of shows! Rosewood is a police procedural television series that premiered on FOX on September 23, 2015, with season 2 premiering on September 22, 2016. The series centers on Doctor Beaumont Rosewood, a private pathologist in Miami, Florida who is in high demand with law enforcement. 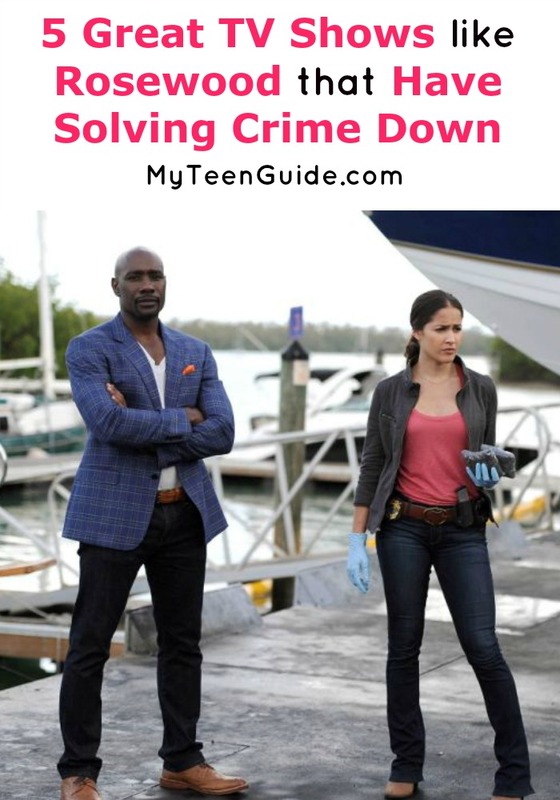 Rosewood stars Morris Chestnut in the lead role and also stars Jaina Lee Ortiz, Gabrielle Dennis, Anna Konkle, Lorraine Toussaint and Domenick Lombardozzi. Here are some other television shows like Rosewood. Law & Order: Special Victims Unit is a police procedural television series that also incorporates legal, crime and drama. It premiered on NBC on September 20, 1999 with season 18 premiering on September 21, 2016. The series focuses on an elite group of New York Police Department detectives that investigate crimes that are sexually related. Law & Order: Special Victims Unit stars Mariska Hargitay as Lieutenant Olivia Benson and Ice-T as Detective Odafin Tutuola. Bones is a crime procedural drama television series that premiered on FOX on September 13, 2005 with season 12 to premiere sometime in 2017. The series focuses on the team of Doctor Temperance “Bones” Brennan, a forensic anthropologist and Seeley Booth, an FBI Special Agent, who work together to solve murder cases. Bones stars Emily Deschanel as Doctor Brennan and David Boreanaz as Seeley Booth. NCIS is an action police procedural television series that premiered on CBS on September 23, 2003, with season 14 premiering on September 20, 2016. The series follows a group of Naval Criminal Investigative Service Special Agents who investigate criminal cases of the United States Navy and the United States Marine Corps. NCIS stars Mark Harmon as Leroy Gibbs, Michael Weatherly as Anthony DiNozzo, Pauley Perrette as Abby Sciuto, David McCallum as Donald Mallard and Sean Murray as Timothy McGee. Criminal Minds is a police procedural crime drama television series that premiered on CBS on September 22, 2005, with season 12 premiering on September 28, 2016. The series showcases a team of FBI Special Agents who are part of the Behavioral Analysis Unit and solve criminal cases by profiling the criminal rather than the crime. Criminal Minds stars Matthew Gray Gubler as Spencer Reid, AJ Cook as Jennifer Jareau, Paget Brewster as Emily Prentiss, Thomas Gibson as Aaron Hotchner and Kirsten Vangsness as Penelope Garcia. Blue Bloods is a police procedural drama television series that premiered on CBS on September 24, 2010, with season 7 premiering on September 23, 2016. The series showcases family members of the Reagan family who are employed with the New York City Police Department. Blue Bloods stars Tom Selleck as Commissioner Frank Reagan, Donnie Wahlberg as Detective Danny Reagan, Bridget Moynahan as Assistant District Attorney Erin Reagan, Will Estes as Officer Jamie Reagan and Len Cariou as Retired Commissioner Henry Reagan. So what’s your favorite crime show? Are any of these shows like Rosewood on your favorites list? Tell me down in the comments!